As modern cities become increasingly crowded, innovative interior designers are constantly looking for new ways to create space-efficient furniture designs. These efforts are particularly relevant for small apartments in cities such as London, Paris and New York, where space comes at a premium. It may come as a surprise, however, that furniture designers have gone all the way back to the medieval past to find inspiration. According to interior design blog Apartment Therapy, a 600-year old Breton design has been making a comeback: the so-called “box bed” is the new trend in efficient, stylish interiors. 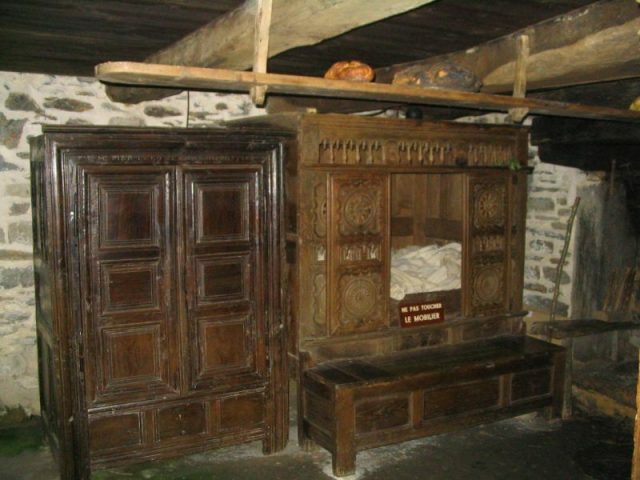 The box bed, or “lit clos” as it is known in French, is a small, raised bed, entirely enclosed in wood. 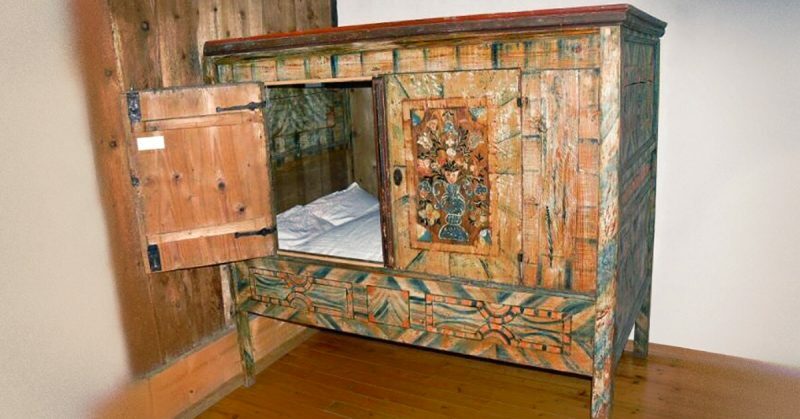 This ornately carved and decorated cabinet came with a mattress and bedding, creating a cozy nest to ensure the perfect night’s sleep. The bed usually had an opening on one side that was covered by a curtain, or by sliding or swinging doors. Box beds were usually elevated and included a bench below the opening to allow people to climb up into the space. The area underneath the bed also doubled up as extra storage, and could be used as a bench for sitting during the day. The box may have originated in late medieval Brittany, but it soon spread to other parts of Europe, according to Apartment Therapy. From the 16th century examples may be found in France, the Netherlands, Scotland, Austria and Scandinavia. The popularity of the box bed may be attributed to a number of reasons. 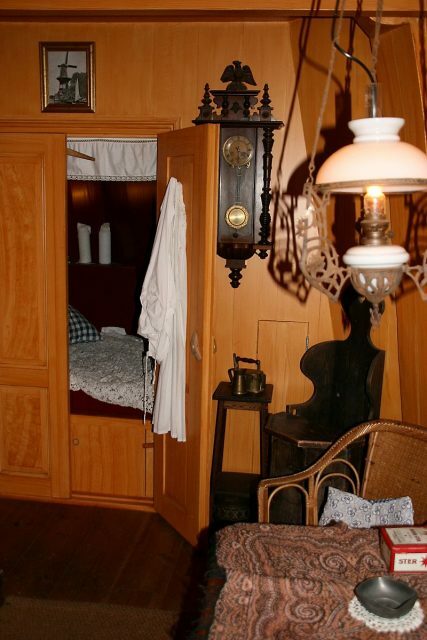 First, it provided privacy in an era when many families often slept in the same room. 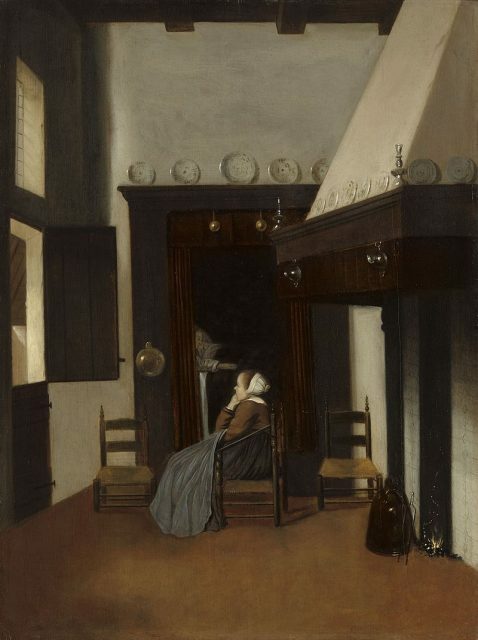 Indeed, in poorer households, entire families may have been living in houses with only one or two rooms — the modern equivalent of a studio apartment. The box bed allowed individuals to sleep in the same room but still retain a modicum of privacy. 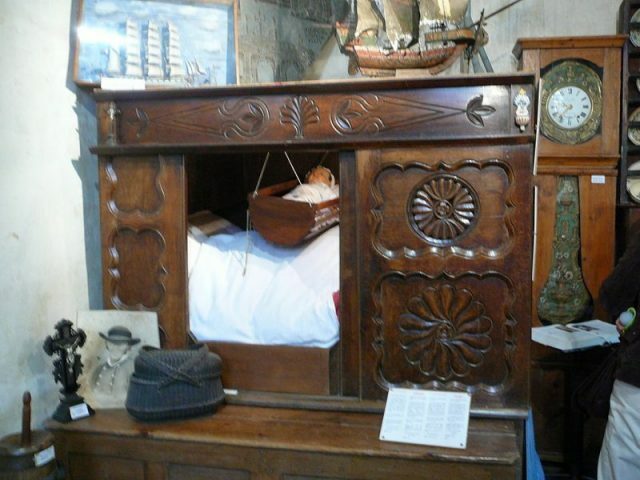 The box bed also provided extra warmth in a time when central heating was not an option. The enclosed space would retain its heat during the cold winter nights, and the fabrics used to line the box offered excellent insulation. According to Apartment Therapy, the box bed may have also been used as a sleeping space for small children who were threatened by predators such as wolves in rural France. However, there is little evidence to support this, and it is likely that it simply offered a warm, private space to sleep. 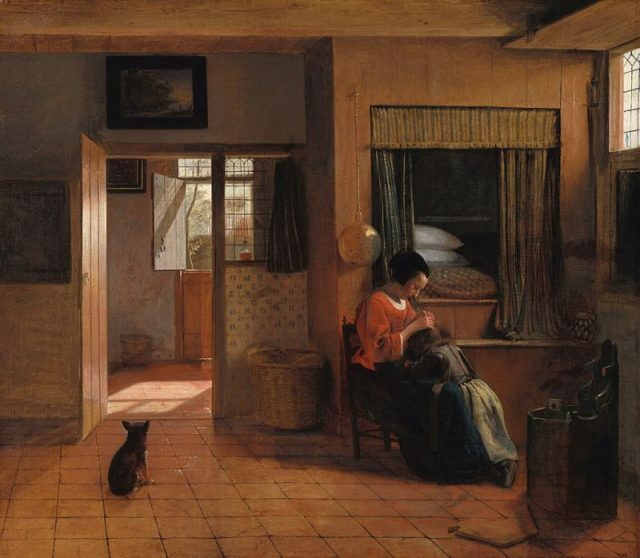 A Mother’s Duty by Pieter de Hooch shows a woman delousing her child’s hair in front of a raised box bed that can be climbed into from the chest below it. 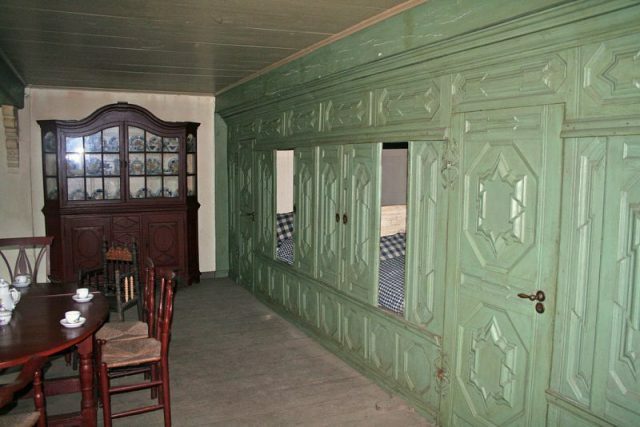 Indeed, many Dutch box beds were used to house the entire family. Although they were much smaller than our typical beds today, they were often designed for two adults, even if taller inhabitants had to sleep in a half upright position. The drawers underneath could also be pulled out to make a smaller bed suitable for children, thereby providing sleeping space for all family members in just one piece of furniture. With such an efficient design, it’s no wonder that box beds appeared in societies all across Europe. We even find box beds in 19th century British literature. 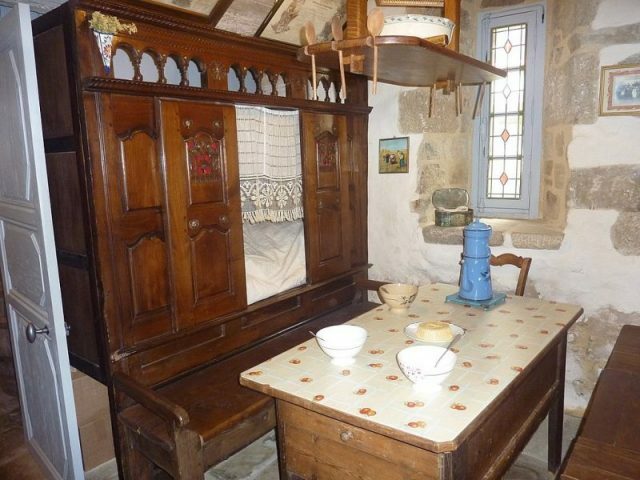 Emily Bronte’s 1847 novel Wuthering Heights references a box bed, described as a large oak case with openings resembling coach windows. In the 20th century, with the advent of central heating, the need for box beds diminished and they faded into interior design history. However, in recent years, they have made a comeback. Upscale Breton furniture designers Ernan and Ronan Bouroullec popularised the concept in the early 20th century with their contemporary take on the lit close, and traditional, carved Scandinavian box beds are now a significant trend in northern European interiors. With hikes in the price of real estate, the shrinking of affordable urban living spaces and the increase in small studio apartments, perhaps the box bed is the ultimate stylish, space-saving solution for 21st century interiors.